Amplitude Studios has teased a new expansion pack to their 4X strategy game, Endless Legend. 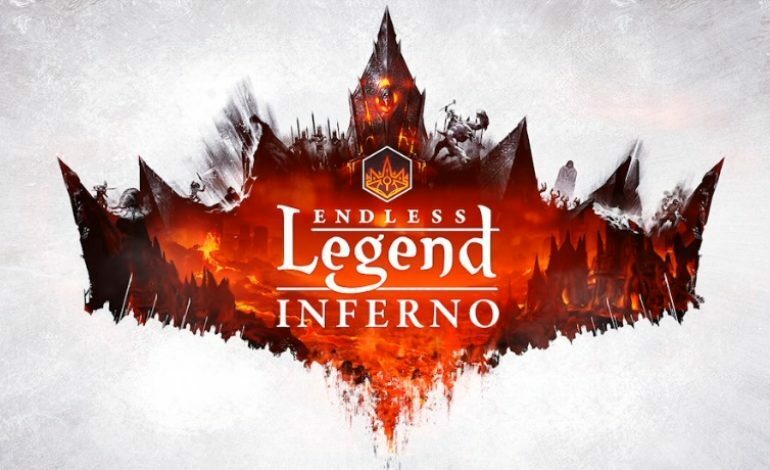 Titled Inferno, we can expect to get more juicy details after the company’s summer break. We’re about to close shop for about 10 days, as we head early into our annual summer break. Don’t worry though, as we’ll soon be back with some news. The project we have in closed beta is coming along nicely. The otherclosed beta is coming along nicely. Wait, what? We didn’t mention there was another beta going on? Endless Legends is a 4X strategy game that was first released September 18, 2014. This science fiction game is the second one to take place in the Endless universe, with the first being Endless Space and the third being Dungeon of the Endless. Endless Legends is notable among 4X strategy games for having factions that are mechanically and artistically unique, sometimes wildly so. It also boasts hero units that can be upgraded RPG-style and story quests for each faction that reward unique technologies and buildings. Guardians, which adds global events and quests, national facilities, and the titular Guardians, unique and immensely powerful hero units. Shadows, which adds an espionage system and The Forgotten, a major faction that is heavily focused on the new system. Tempest, which adds naval combat and aquatic races. Judging by the name, Inferno would likely involve the appearance of something infernal and devilish. We’ll be ready for Amplitude Studios to get back from their summer break to get more details.